We all know another Microsoft console is coming. We don’t know when or what it will be called. 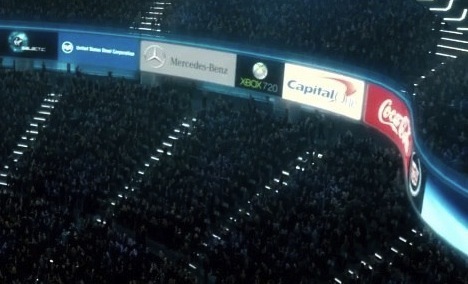 However in ‘Real Steel’s trailer you can clearly see the Xbox 720 advertising high in the stands. The latest rumours suggest that it will be unveiled at E3 2012 but newer reports make it look more 2013! Some say EA already has next-generation console technology, EA denies these claims. Microsoft also pass no-comment on all these rumours. If the release of the Xbox 720 is in late 2013 then it will coincide with the predicted 2014 release of the ‘Unreal Engine 4’.